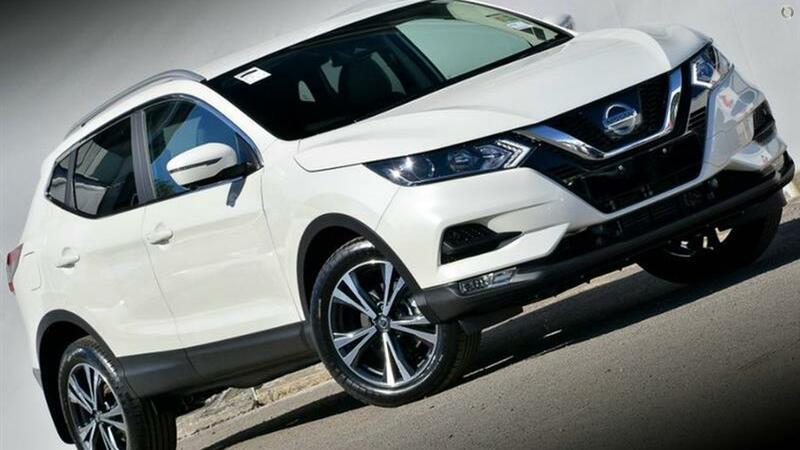 The Qashqai ST-L reflects its European build and design by the multitude of standard features from Nissan Intelligent Mobility that help set it apart from its nearest competitors. The 2.0L Naturally Aspirated Petrol Engine puts out fantastic combined fuel economy of 6.9L/100km and is at home both in town and on the open road. Nissan Intelligent Mobility is reflected in the Automatic Qashqai ST-L. It has a 7'' Touchscreen with Satellite Navigation and Traffic monitoring as well as bluetooth combatabillity for both Android and Apple Phone and music devices. Other standard luxuries include, heated Premium Monoform Partial Leather Seats, Electric Driver Seat with Lumber Support on both Front Row Seats as well as the the Birds Eye View 360 Intelligent Around View Monitor System with Moving Object Detection when couple with front and rear sensors help guide you into those tricky car spots. With Intelligent Emergency Braking and Forward Collision warning on top of its 5 Star ANCAP rating the Nissan Qashqai ST-L is one of the safest and advance vehicles on the road.